Fallout 76 is, without question, one of this year’s most eagerly anticipated games. And taking into account that it’s the next instalment in the wildly popular Fallout franchise millions of gamers will be drawn to the game, despite the fact that this could offer a very different experience to the other entries in the series. You see, Fallout 76 will be an online multiplayer game rather than a sprawling, single player epic like the earlier games, while the fact the PC version won’t release on Steam as the previous entries did is something which could hurt its chances this year. Nonetheless, this hasn’t stopped the tourism office of West Virginia from partnering with game makers Bethesda, as was recently reported on PC Gamer. This has the potential of drawing plenty of visitors to the US state, leading to an influx of tourists when Fallout 76 hits shelves next month. “Bethesda has been a terrific partner since day one. They’ve really embraced West Virginia and its beauty. We believe this unique partnership has tremendous potential to bring folks to visit the Mountain State”, said the state’s tourism commissioner Chelsea Ruby. And while the Fallout series has always portrayed sci-fi worlds, their post-apocalyptic wastelands have always been based on real places. For instance, 2015’s Fallout 4 was set in a section of Boston devastated by nuclear warfare, with real-life landmarks such as the Boston Public Library being rendered in the game. Fallout 4 also had an expansion released for it titled Far Harbor, the setting of which was too based on a real location in the US. Meanwhile, the earlier Fallout 3 was set in Washington D.C. 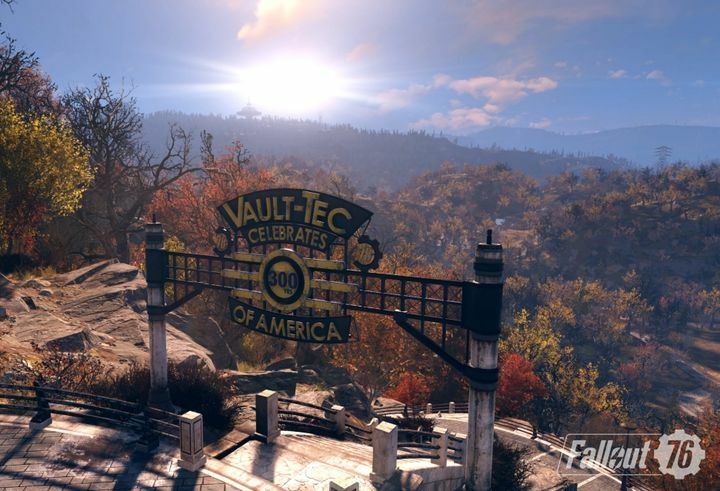 Going back to Fallout 76’s setting West Virginia though, it’s clear the state’s tourism office believes this is a genuine opportunity to get people to travel to the state, as its governor, who also trumped the virtues of the US state, said. “[West Virginia has] beautiful scenery, the best people you could ask for and more. And now, we get to share a piece of that with people all over the world through the unique lens of this video game”, said governor Jim Justice. Here’s hoping though, that Fallout 76 not only helps draw tourism to West Virginia but also turns out to be another good entry in Bethesda’s sci-fi series, something we’ll know more about when the game’s beta test kicks off later this month.